Discover how to use Facebook Messenger Marketing to start one on one conversations, generate more leads and sales for your business. A monthly subscription that will give you access to professionally designed and created NEW images and videos every month - over 200 of 'em!! 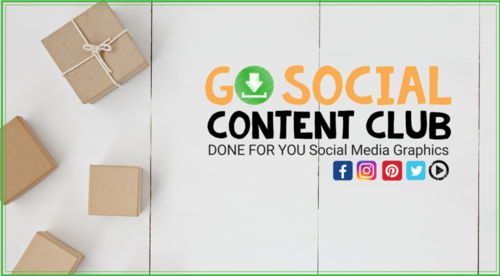 With this resource, you can download, brand to your business and have content to consistently share on social media. All the hard work has been DONE FOR YOU! At your fingertips are the RIGHT graphics at just the RIGHT time to take you from OVERWHELM to easily building your community online. We've done ALL of the heavy lifting FOR YOU. 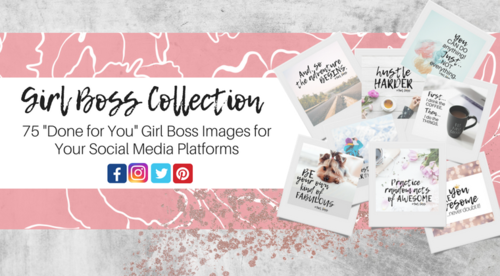 Each graphic is professionally and beautifully designed to help you get started building your KNOW, LIKE, and TRUST factor with your Girl Boss peeps.